Illustrations: 508 Color Illustrations. 177 B&W Illustrations. Sterling Silver jewelry and tableware that was sold at the Jensen store in New York City included designs by American craftsmen, especially William De Matteo and Alphonse La Paglia, in the late 1940s. This is the story of these two silversmiths' work and its impact on fancy goods of the mid-20th century period. Silver tea sets, candelabra, centerpieces, bowls, serving spoons, and women’s jewelry sets were made in original designs that incorporated Danish styles for which the store was famous. Today, these are vintage items that are valuable and highly popular among collectors of fine traditional style decorative arts. Many identifying marks, catalog pages, and original advertisements are presented and discussed. Through newly found documentation, original working drawings, and careful analysis, these vintage silver items finally can be identified and appreciated for their specialty status among the finest luxury goods worldwide. Illustrations: 154 Color Illustrations. 35 B&W Illustrations. An established feature of his work, which symbolically marks the entrance into Bronger's world, is the key. This current publication offers such a key; a review of over thirty years of his creative work: from Bronger's experiments with materials and constructions in the struggle with the avant-garde Dutch art jewelry to his attempts in fathoming out states of expansion and emptiness in jewelry. He revolutionized contemporary creative jewelry work in such a way, not just in Norway, where to this day he still finds new forms of expression at the interface of jewelry, art, design and engineering. With works from the 1980s to the present day, the book will carry you off into the humorous world of the decorative engineering art of Sigurd Bronger, one of the most significant Norwegian jewelry artists today. CYREN, GUNNAR: GLASS ARTIST, SILVERSMITH AND MUSICIAN. Illustrations: 67 Color Illustrations. 49 B&W Illustrations. A gorgeous book showing an incredibly talented man: Cyrén dazzles the art world with his abilities as draughtsman, musician, designer of glass, silver, and gold as well as industrial design. In this volume, the artist narrates his own story of his professional career in each of these fields. 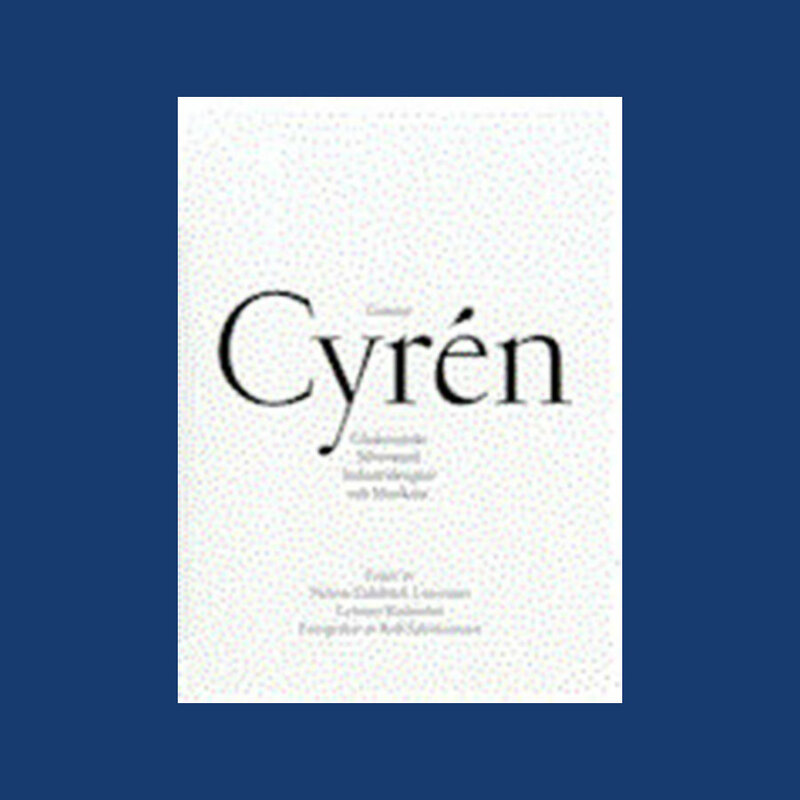 This personal approach is supplemented by the opinions of renowned art historians who attempt to illuminate the full range of Cyrén’s importance as both a Swedish and an international designer. 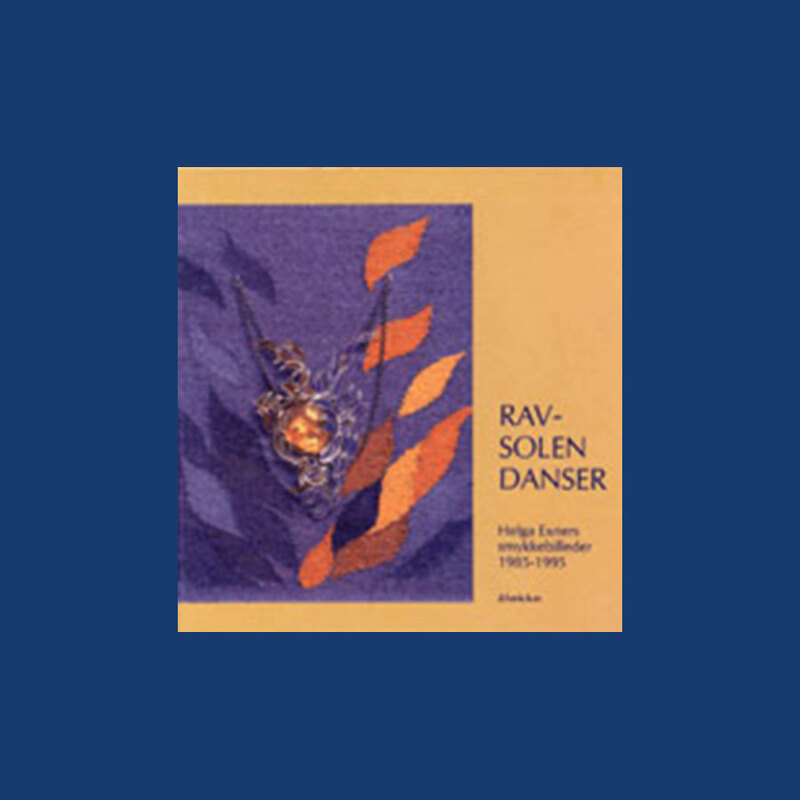 The full page color photographs, sketches, drawings and an almost exhaustive listing of his work make this volume a truly invaluable record of this remarkable contribution to Swedish crafts and design. DE PATTA, MARGARET THE JEWELRY OF SPACE LIGHT STRUCTURE. Illustrations: 110 Color Illustrations. 33 B&W Illustrations. Catalogued in this publication is a retrospective exhibition on the work of jeweler Margaret De Patta. Featured inside are more than sixty jewelry pieces along with ceramics, flatware, photographs, and pictograms. She was an outstanding modernist jeweler with a tragic ending to her life. Illustrations: 52 Color Illustrations. 18 B&W Illustrations. The well-known jeweler, Helga Exner works with enamel, silver, mother of pearl, lapis lazuli to create extraordinary pendants in brilliant hues of purples, yellows and blues. She displays them against backgrounds of tapestry, plaster, or leather, producing works of art that combine contrasting media to form a unique whole. This is a book for all interested in contemporary jewelry.